What’s Ailing Your Kids’ Little Piggies? Happy Mother Goose day, everybody! On this day celebrating nursery rhymes, I’m of course thinking of one of my favorites: This little piggy. While this is a fun and silly little game, it becomes less enjoyable if your child is experiencing toe-pain. ure the nail and alter the course of its growth, causing this condition. Obviously, kids are often at risk of developing this problem. Athlete’s foot is a fungus that can be picked up anywhere; it thrives in moist, sweaty socks and does its best when proper foot hygiene is not followed (something kids are often guilty of). If left untreated, it can spread quickly and cause serious discomfort. 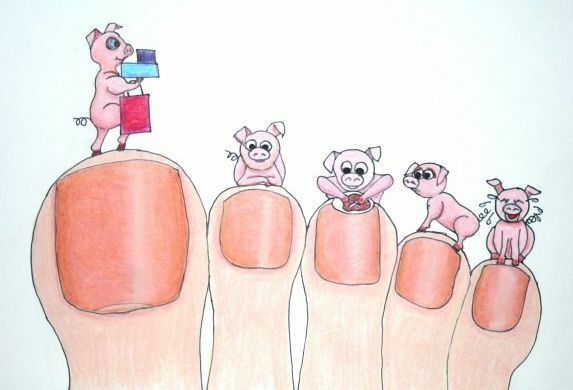 When our children are young, we read them Mother Goose rhymes and play with their piggies. As they grow up, it’s our duty to protect those piggies (and the rest of our children’s feet) from pain. I hope you will allow me, as your Houston podiatrist, to help keep your children walking, running and playing without discomfort.